Simone regularly performs with the internationally renowned BackBeat Percussion Quartet of which she is a founder member. The group tours extensively in Japan and America and have also given concerts in Zimbabwe, the Cayman Islands and throughout Europe. 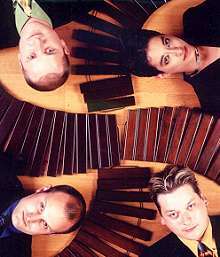 In addition to recording 2 CDs and numerous international TV and radio broadcasts the group has won several competitions including the Royal Over - Seas League Ensemble Prize (1997), The Osaka International Chamber Music Festa (1999) and The USA Concert Artists Guild (2001) which led to a USA debut at The Weill Hall - Carnegie Hall. The group has commissioned several new works and its 2002 Proms debut was broadcast live on BBC television. 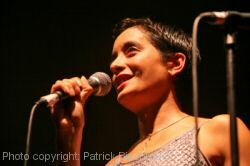 In 1997 Simone formed Equivox with leading saxophonist Rob Buckland and Peter Lawson (pianist), and this contemporary music group record and perform internationally. They have commissioned several new works and their debut album 'The Time is Now' was released to critical acclaim in 2006. Simone collaborates with various musicians on projects and continues to work as a solo recitalist with pianist/organist Julian Wilkins. Her most recent collaborations include a series of concerts with internationally renowned jazz pianist Jason Rebello and a continued range of performances with The BBC Singers and Ex Cathedra. Simone devises and presents concerts and workshops to children of all ages and works annually with Young Voices who produce concerts featuring large choirs (up to 8000 children) in UK arenas including the MEN Arena Manchester and the O2 Arena London, working with musicians including Beverley Knight, Lemar,Jocelyn Brown, Alexandra Burke and Heather Small. In September 2010 Simone was appointed Director of Percussion at the Royal Northern College of Music and in 2017 was appointed Deputy Head of School of Wind, Brass and Percussion. Simone frequently works as a presenter including at The National Brass Band Championships (Royal Albert Hall), RNCM Festival of Brass, European Brass Band Championships and for BBC Radio 2. Simone Rebello is a solo artist and endorsee for Yamaha Music UK, Sabian Cymbals and Mike Balter Mallets.